Et nytt bryllupskort laget på bestilling. Papir er i fra Papirdesign, Blomster fra Woc. tekst og perler fra Kort & Godt. Marita, what an absolutely stunning card! I just love the colors, and the flowers and bead trim looks just gorgeous! 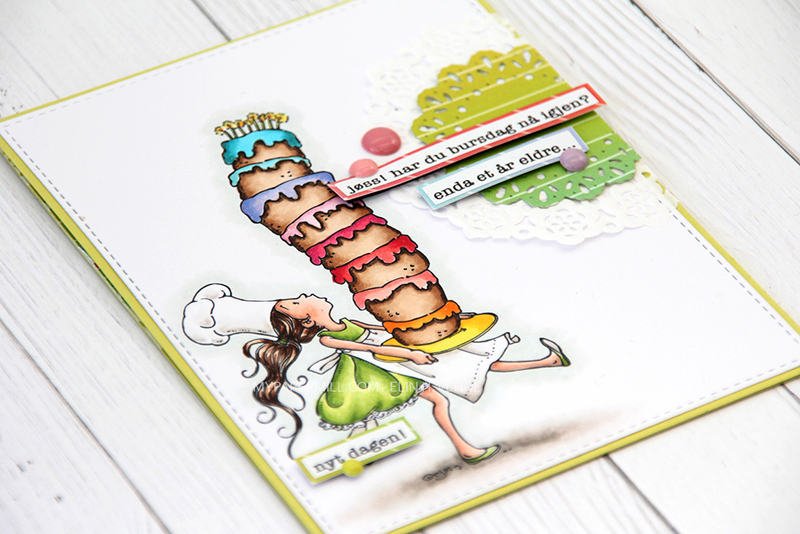 Beautiful and elegant project, love the colors and the dies are adorable. This is beautiful Marita, lovely colours and gorgeous layout of the flowers and pearls. Et nydelig kort Marita, så lekkert design og flotte papirer! Oh wow! this is gorgeous Marita - what a beautiful design … I love how the sentiment is the main focus and the frames around it are so delicate and pretty. I love the paper and the flowers match perfectly!